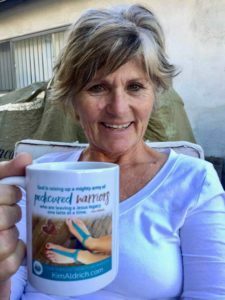 Today I’m honored to share a guest post from my friend Kim Aldrich, an author and speaker who shares about her history of depression, and the key to her regaining wellness. Kim shares about the essentials of taking our thoughts captive, and the value of a spiritual mentor. I know you’ll be blessed by her testimony. After all, I’d been a follower of Jesus since childhood, had hungrily devoured every deeper-life-in-Christ teaching I ever encountered, and even spent several years in full-time ministry. 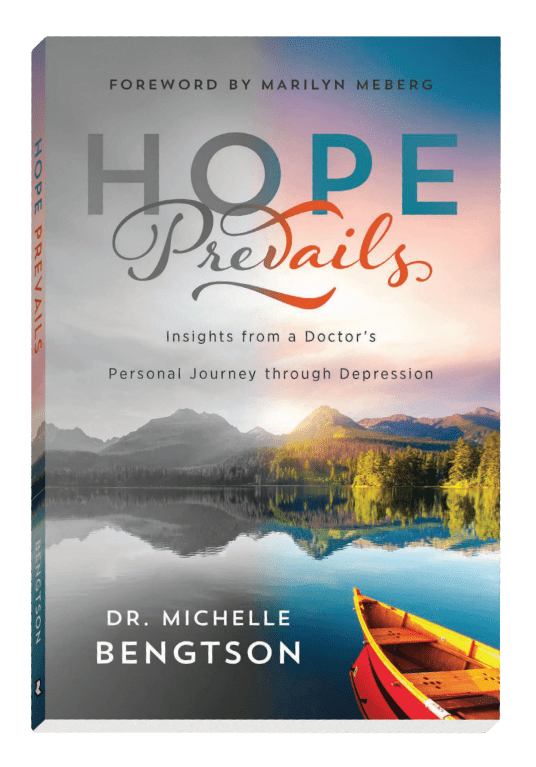 Yet through two long decades of struggle, nothing I tried (including counseling) was able to fully dislodge the deep sense of hopelessness and despair that were my constant companions. 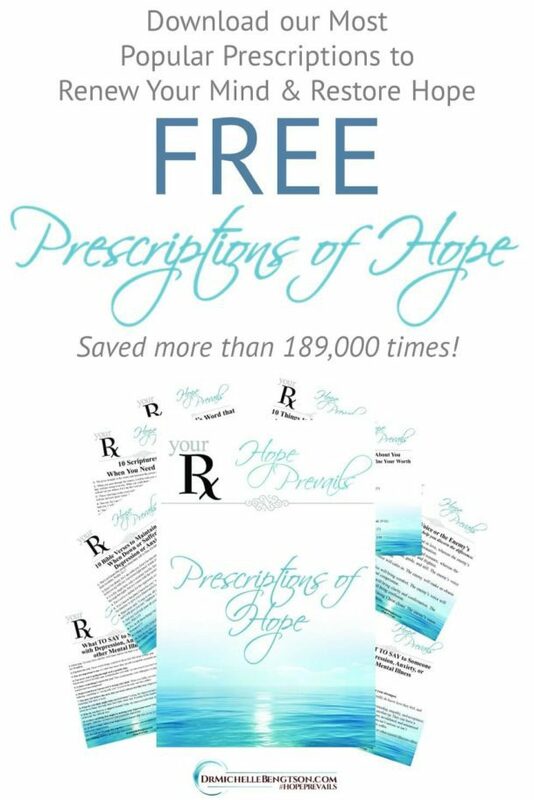 Finally, after a bout of suicidal thoughts that terrified me to my core, I reached out for medical help. 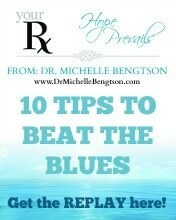 Though I’d been reluctant to take antidepressants, I was now so desperate I was willing to try anything. As it turned out, that was exactly what my depleted mind and body needed. Yet as the mental fog began to clear, I realized I needed to learn a whole new way of thinking if I wanted to leave depression behind for good. So I found a Christian counselor and started attending a Beth Moore study at my church. The combination of the two helped me learn to take thoughts captive and renew my mind in Scripture. Then something else happened that was utterly life-changing: God provided a spiritual mentor! Spiritual mentors can become dear and trusted #friends in #friendship #discipleship. Over time, Priscilla became a dear and trusted friend. She listened, laughed, cried, and prayed. She learned how I was wired, and reflected to me the strengths she saw. She covered my weaknesses and graciously bathed them in prayer. She rejoiced when I rejoiced and wept when I wept. When I succeeded, she was so happy you’d have thought the victory was her own. When my heart grew faint, she empathized and cheered me on. I can still hear her sweet voice reminding me “the gifts and callings of God are irrevocable” and encouraging me to develop “a tough mind and a tender heart.” She shared the Great Commission verses in Matthew 28, and introduced me to the idea of spiritual legacy. She was also transparent about her own weaknesses in a way that allowed the life of Christ to shine through her even more brightly. Whether she was listening, loving, encouraging, sharing, or simply calling me “kiddo,” I saw the love of Jesus in her eyes. There’s something incredibly powerful about meeting with another believer eyeball to eyeball, week in and week out. They get to know your strengths, weaknesses, joys, sorrows, and the ebb and flow of the way you “do life.” They learn the kinds of things that encourage you, and the kinds of things that trip you up. Their very presence in your life enables you to grow, process, heal, discover, risk, and change into the image of Jesus much more quickly and thoroughly than you ever thought possible. In my case, I felt as if I’d been emotionally un-freeze-tagged for the first time in my life. I think deep down I’d been waiting for decades to feel truly “seen” by someone. Even though I’d been learning and growing and following Jesus for years, there was a huge part of my heart that could only be healed through deeper connection with His Word and His people, up close and personal. Soon I began discipling younger women, and discovered that spiritual mentoring is actually a two-way blessing: both believers are transformed in the process! Just as a mom learns about God’s love through her children, a discipler learns about Jesus’ love through pouring into younger believers. 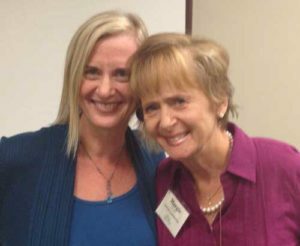 Soon I sensed the Lord nudging me to write down the spiritual mentoring principles He’d taught me over the years—to help other Christian women gain the courage to disciple others. When I first began writing, it was with intense passion and great joy. Yet as the process progressed, I felt more and more isolated. Writing can be a lonely venture, and not everyone understands what it’s like to face the blank page, day in and day out, with the constant pressure to write down words that mirror what God’s put on your heart. After several weeks of struggle, it finally dawned on me: I need another mentor to help me finish the book on spiritual mentoring! Yet as it happened, my previous mentor was not available. Still the longing intensified. Almost to the boiling point, I broke down and asked God directly. Red-faced face and snotty-nosed, I ugly cried my way through the whole dramatic outburst, which sounded more like a distraught child’s wail than it did a prayer. Afterwards I felt calm and at peace, confident that whatever God answered, I could live with. I also sent a quick text to a few women, asking if they had a moment to pray over the phone. One of them was a lady named Margie who I’d met at a conference a year or so earlier. Suffice to say, I’ve never met anyone quite like Margie. 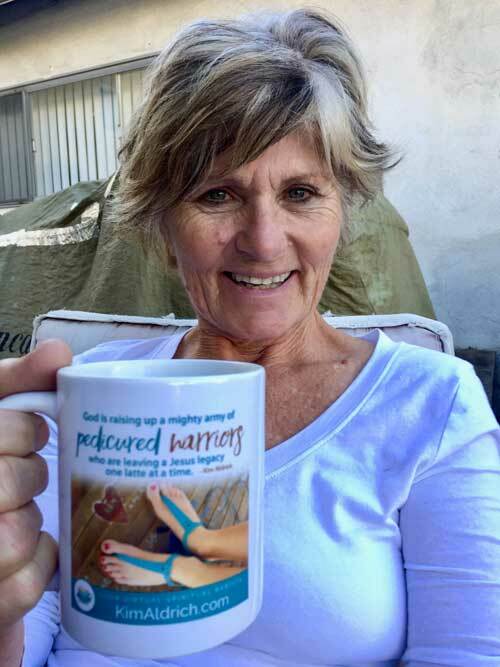 Her unique brand of hurricane force exhortation was down-to-your-toes energizing and sweetly encouraging all rolled into one. 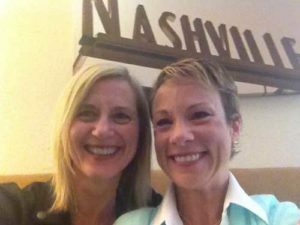 Praying with Margie was like plugging your heart into triple-strength Holy Spirit amperage almost to the point of blowing your circuits—yet I always walked away feeling more loved, refreshed, and energized to serve God than I could’ve possibly imagined. Plus, you know that connected feeling you get when someone gives you their full attention? Oh, how I hope you do. There’s nothing quite so affirming as having someone deep down listen to you—not just to what you say, but to who you are—and truly invest themselves in what they hear. That’s how it was talking with Margie. We both felt a strong sense of destiny about that first conversation, as if we’d stumbled onto a priceless treasure God had intentionally placed in our path. As I wrote the first draft of this book, Margie continued to cheer me on as a friend, fellow writer, and spiritual “mother in the house.” God gifted her with such a supernatural enthusiasm for me (and for those who would read the book I was writing) that sometimes it even blew her circuits. Whenever I needed to be reminded of who I was or the glorious privilege of what God had called me to do, I called Margie. Talking with her brought a fresh infusion of confidence and contagious enthusiasm for all things God-ward. I always hung up the phone grateful to be “a daughter of the Most High God,” who graciously sent both Priscilla and “Mama Margie” when I needed them most. Have you ever considered investing in a younger believer? Do you have a friend who’s depressed who could use a listening ear—and someone to help them renew their mind in Scripture? 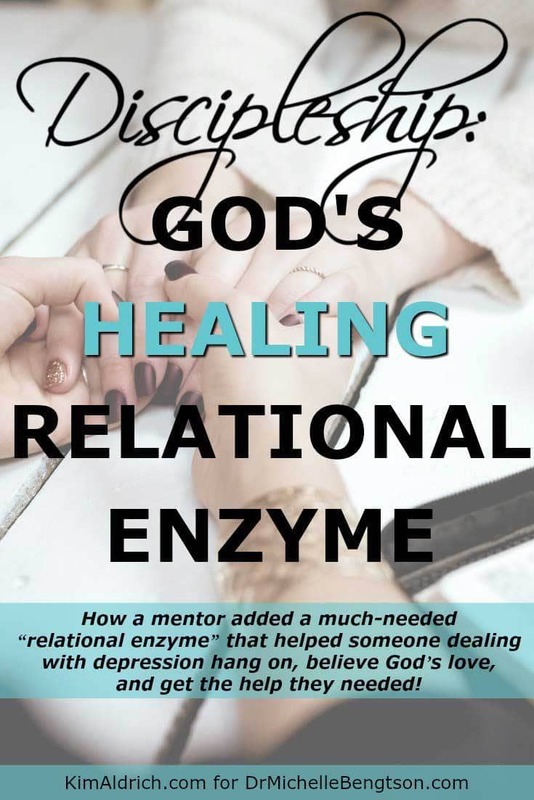 You don’t have to be a counselor, but your friendship can add a much-needed “relational enzyme” that helps someone dealing with depression hang on, believe God’s love, and get the help they need! 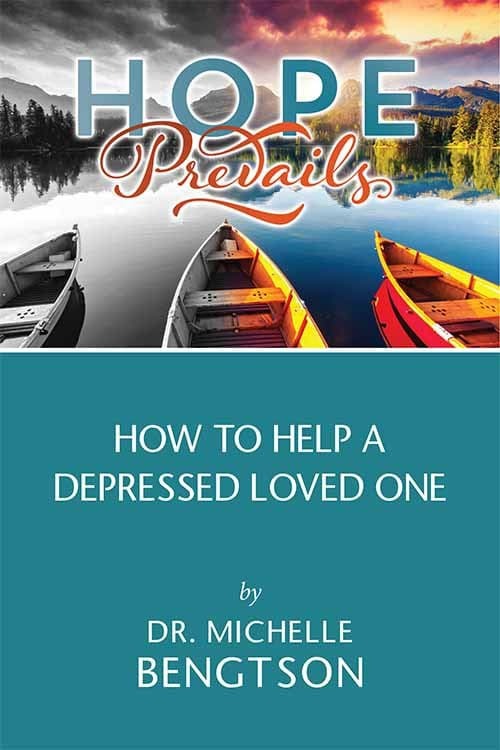 #Mentors may help someone dealing w/ #depression hang on, believe #God’s love & get #help. 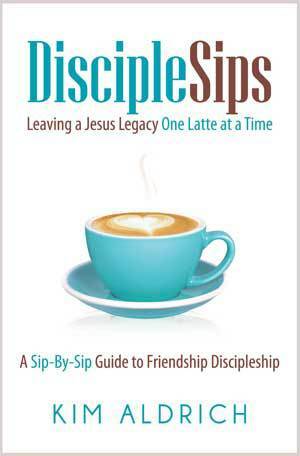 You can read my dedication to Mama Margie, plus more life-changing mentor/mentee stories, in my new book, DiscipleSips: Leaving a Jesus Legacy One Latte at a Time (A Sip by Sip Guide to Friendship Discipleship). 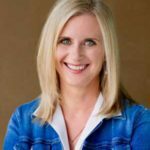 ABOUT KIM: Kim Aldrich is an author, speaker, and come-alongside mentor who delights in helping women drink in and pour out the truth and love of Jesus in relational ways—through books, blogging, coaching, speaking, and training women’s ministry teams to equip women for as-you-go discipleship. 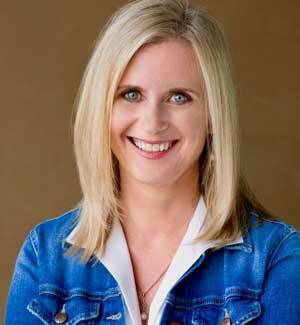 She lives with her comedian husband Paul in Franklin, Tennessee, where she juggles writing deadlines, enjoys God-conversations, and drinks cinnamon dolce lattes whenever possible. I’m sharing a friends great words about discipleship this week at Word Nerd Wednesday, too! 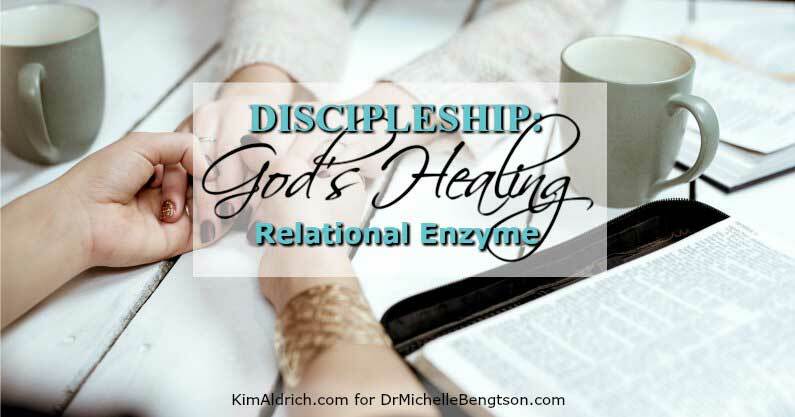 I’ve been on both ends of this relationship and you are so right… God uses it to change both participants! Thanks for sharing your journey to encourage others! Blessings! 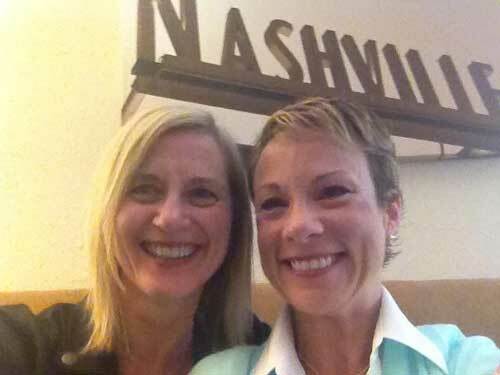 I’m so grateful for the mentors and friends God intersects with our lives…like YOU! Thanks for stopping by. I’ve never ” discipled ” anyone but I know His gifts are our to keep and try my best to write a blog that is dedicated to sharing faith and brig us closer to Jesus. You never know how those words you write meet the need of a reader you might never meet. Keep writing! Thank you, I do get comments and sometimes updates on those I have prayed for, I know He’s using, really, writing those words. Oh I just loved reading this post! I’ve been so blessed to be both mentored and to be a mentor over the years. Currently though I’m praying for God to put a mentor in my life. 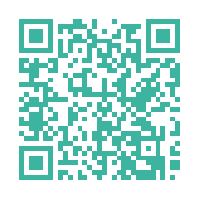 I need to read your book. Melody, there is a time for mentoring and a time to be mentored. I pray God answers the desire of your heart. That’s such a great way of describing the thaw that comes with letting someone inside our bubble! Michele, yes, it’s such a win-win when we let others care about us and with us! I saved this to read till this Sunday morning and God knew this is when I needed it most. I plan to request a Stephen Minister at church today, praying God connects me with the right woman. I am trying to literally take every thought captive to the obedience of Christ. 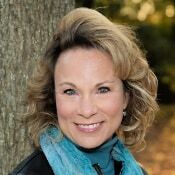 How my marriage (that I waited for until I was 46) turned out is affecting my health in a negative way. Thank you for the confirmation to seek someone out. Therapists and medication have not helped. May God bless both of your ministries. I LOVE THIS. This has been on my heart so much especially after reading the book, ‘Adorned’ by Nancy Leigh Demoss Wolgemuth about the beauty of mentorship; and I’ve been learning how blessed I am to have a Grandma who loves Jesus and who has mentored me so much, a mother who loves the Lord and loves to pray and loves to share the wisdom God has given her, so many women in church who love to mentor and disciple; I just feel like I’ve been SO blessed, and I haven’t even began to tap into the tremendous blessing it is. It makes my heart SING with joy to see how God provided a mentor each time you needed one, how these women pointed you to Jesus, stood side by side with you in the battle, and taught you so much. 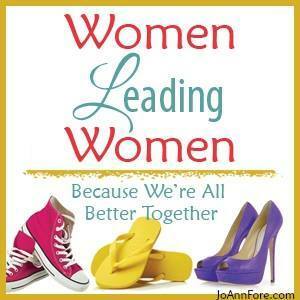 Michelle – Thank you for sharing Kim’s post. Mentoring is amazing, no matter which side you sit on, you will be blessed. Yes, I have been so blessed on both sides of the mentoring journey. But I never thought that God would actually allow me to go through my own bits of anxiety & depression as I deal with chronic illness, and use even that to encourage those ones that I have been discipling and praying for! He uses even our own weaknesses (especially!) to show forth His strengths to those that we love! Thank you Michelle and Kim for sharing these great words of encouragement!